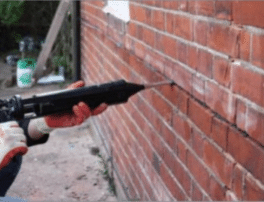 Preservation Treatments are proud to be an approved installer of Helifix systems. 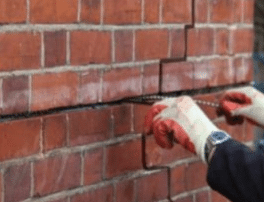 One of our Helifix approved surveyors will assess the structural issues affecting your property and will develop a suitable repair strategy. Preservation Treatments is an approved installer of the Helibeam System. The Helibeam System uses pairs of long HeliBars bonded into mortar to form deep masonry beams that reinforce and stabilise existing masonry while redistributing the structural loads. 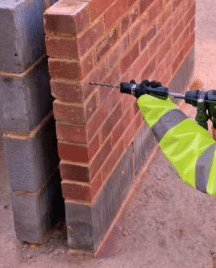 It provides a rapid, cost-effective means of restoring structural integrity to buildings and structures where the masonry has failed and lost its load bearing capabilities. 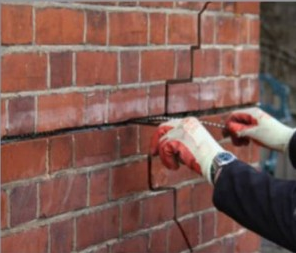 In combination with other Helifix ties and fixings it provides a comprehensive, reliable and economic system of repair and stabilisation for many commonly occurring structural faults. 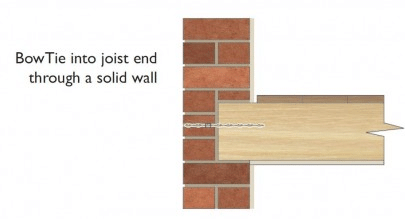 BowTie is a long stainless steel tie used to stabilise bulging walls, without any external plates, by securing them into the ends of internal floor joists. BowTie HD is a heavy duty 12mm diameter threaded bar with self-cutting end used to restrain bowing building walls by securing them to internal parallel floor joists or roof beams. Contact us today to arrange for a surveyor to visit site and inspect any structural issues affecting your property.